Home / Poppies, Poppies, Everywhere! 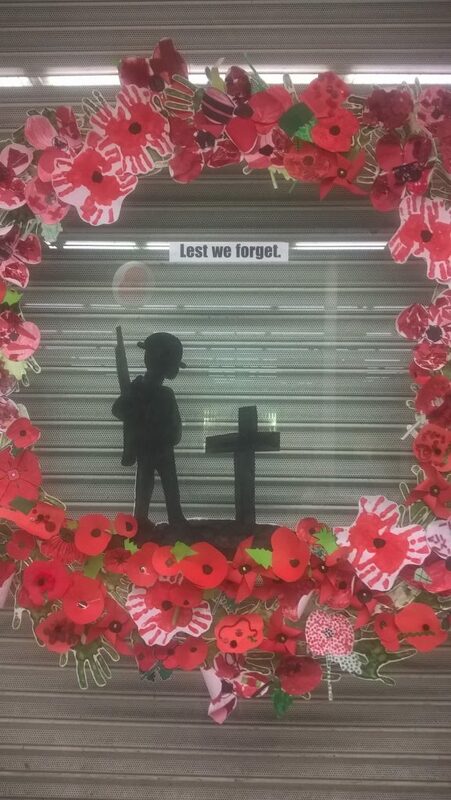 A stunning poppy display has been put up in a local shop window thanks to the work of primary pupils and primary teacher, Mrs Calvey. 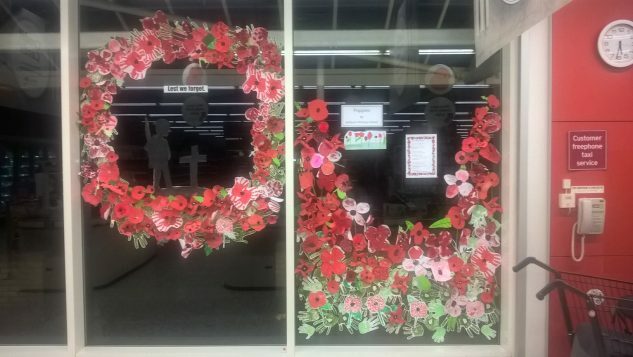 Sainsbury’s in Saltburn approached Mrs Calvey to provide poppies to display in store during the lead up to Remembrance Day on 11th November. A selection of year groups took part (Foundation stage, Year 2, Year 3 and Year 4); they got together to discuss what the poppy symbolises and why we wear them and then created them using various media, such as collage, pointillism, painting and origami. The team at Sainsbury’s set the display up over the weekend of 5th and 6th November.